“Now the Lord called to Moses, and spoke to him from the tabernacle of meeting, saying, “Speak to the children of Israel, and say to them: ‘When any one of you brings an offering to the Lord, you shall bring your offering of the livestock—of the herd and of the flock. 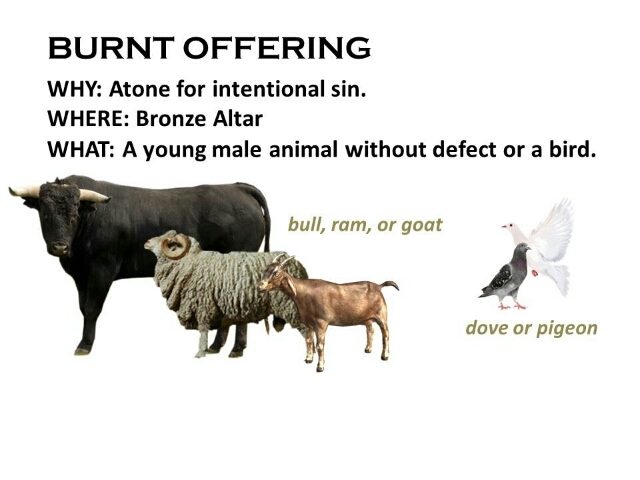 Chapter one of Leviticus is all about the Burnt offering. The first word of chapter in Hebrew, “V’yakra,” is actually the name of the book. It means, “And He (the LORD) called.” The LORD called to Moses “From the Tabernacle of Meeting.” This means it was not from Mt. 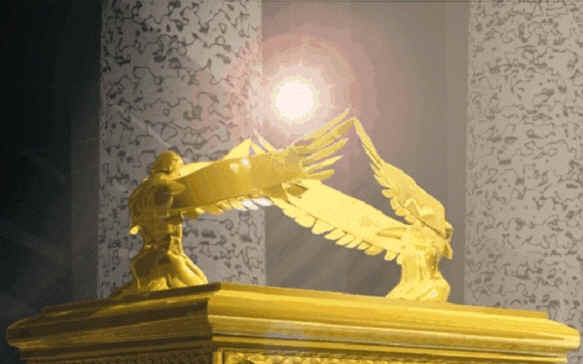 Sinai, in His Judicial role, but from “The Mercy Seat,” between the wings of the Cherubim. That’s the place of grace! God talked to Moses him all about the work of His Son on the cross. You noticed, I’m sure, the underlined phrase, “Of his own free will,” in the opening passage. The translation here is a bit unfortunate. It makes it appear as if Jesus was deciding whether or not to offer Himself. While It’s true, Jesus did indeed offer Himself freely, the Hebrew text doesn’t say, “of His own free will.” It says He did it for His “RADZON.” In other words, for His “ACCEPTANCE.” Because of His “Radzon” before His Father, you and I can have the same “Radzon” before God as well! The Effect Of The Burnt Offering. In Hebrew, the word, “Savor,” means “A savor of rest.” This offering, more than all others, gave pleasure and rest to His heart. WOW!! It was never all of those animals that gave rest to His heart. No. He looked past them and saw the work of His Son. THAT’S WHAT BROUGHT REST TO HIS HEART. Abel was actually the first one to offer a burnt offering. But in the account of his offering, the word “Olah” doesn’t appear in the original text. 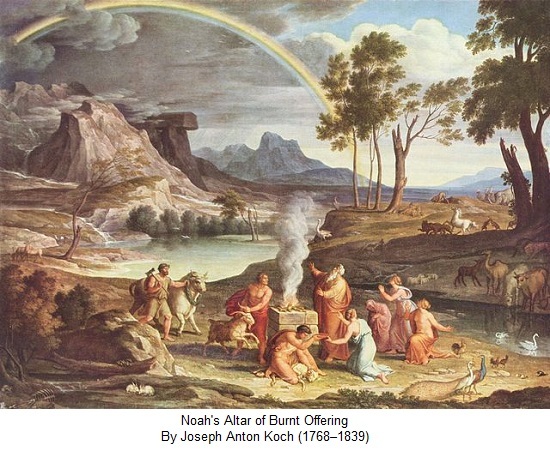 The first mention of the word, “Olah,” was when Noah offered his after the flood. Why? Because the Master Storyteller is painting pictures of Jesus again! You see, the Ark that Noah built is a picture of Jesus. After the “floodwaters” of Judgment washed over Him at the cross, having fully paid for every sin, He became our Burnt Offering. It ascended to God like **sweet smelling perfume. When at last He the work of redemption was finished, THEN He became our Burnt Offering. This is an “Ascending offering.” In other words, it goes up or ascends TO, and blesses, GOD. It depicts Jesus’ in His acceptance, or “Radzon,” TO GOD on our behalf as the perfect sacrifice without spot or wrinkle. He qualified for that death because He was born without sin and lived a perfect life. As our Burnt Offering, Jesus’ Righteousness is transferred TO us. Paul, a man of intelligence, said of Jesus that “He KNEW no sin.” John, the Apostle of love, said, “IN HIM is no sin.” And Peter, a man of action, said of Jesus, “He DID no sin.” He could not have represented us as our perfect sacrifice if He either knew, did or had sin in Him. But HALLELUJAH! HE HAD NONE! How did He pay for our sins? They were placed on Him like a garment. That “garment” was completely burned up in the fires of God’s judgment until they were all gone; BURNT TO ASHES. Animals for the Burnt Offering were always male,“of the herd and of the flock.” In other words, domesticated animals, not wild or untamed. Domesticated animals are obedient. Thus, they depict Jesus Who was perfectly obedient to His Father, not “wild,” doing His own will. Male, in Biblical typology, signifies “Godward.” In other words, of benefit TO God. Female typifies that it is of benefit TO Man. The type of animal offered by each individual was determined by their economic status. If the person was very poor he could bring a pair of turtle doves or young pigeons. Those of middle income brought a goat or a lamb, and the wealthiest brought a bullock. Each was brought to the priest and examined to make sure it was WITHOUT BLEMISH: Anything that reminded God of His Son was acceptable. That’s how we know Jesus was born into a poor family because His family brought a pair of turtle doves to the Temple at His dedication when He was one month old.